It is nerve-wracking when you can't find your phone, Losing a smartphone or even a feature of a phone isn’t fun at all.Whether it's truly lost, or just stuck between the sofa cushions.Most of the operating system has a feature to find phones which users can easily find thier phone from a web app.Just like every other major operating system, Windows Phone comes with the feature as well call as " Find My Phone". Just like every other major operating system, Windows Phone comes with the feature as well. Find My Phone can help lay your worry to rest. 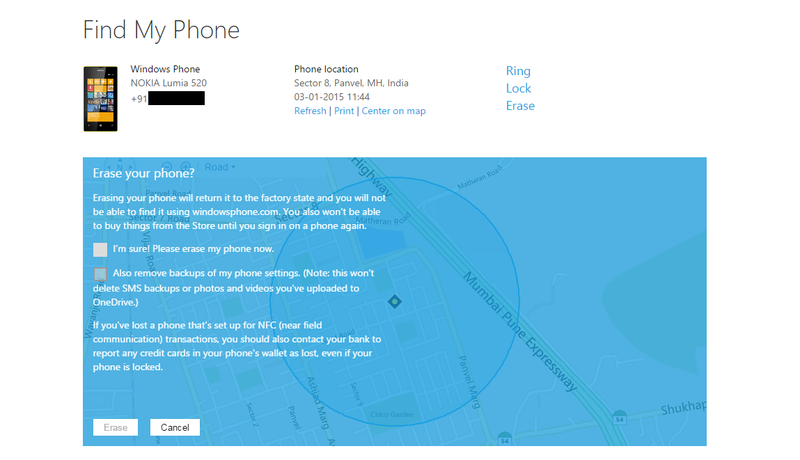 This free service on windowsphone.com can ring, lock or erase your Windows Phone, or show it on a map from any Internet-connected computer. Head over to the Settings. Scroll down and you’ll see “find my phone”. Open find my phone and you’ll see some simple options. 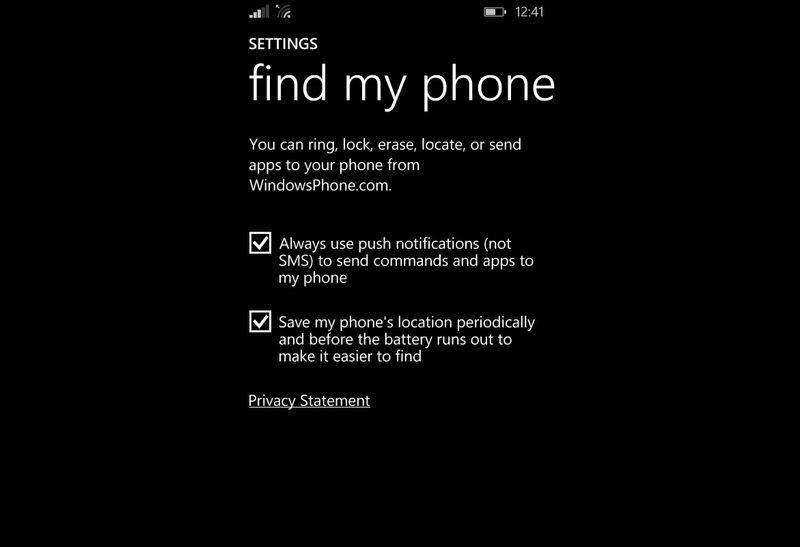 In the first option on find my phone, there are two setting available. The first one lets you to use push notification for sending commands instead of using SMS. I personally enable the feature as the SMS some time may not work. If you want to send commands using notifications, enable the feature and if not, keep it disabled. 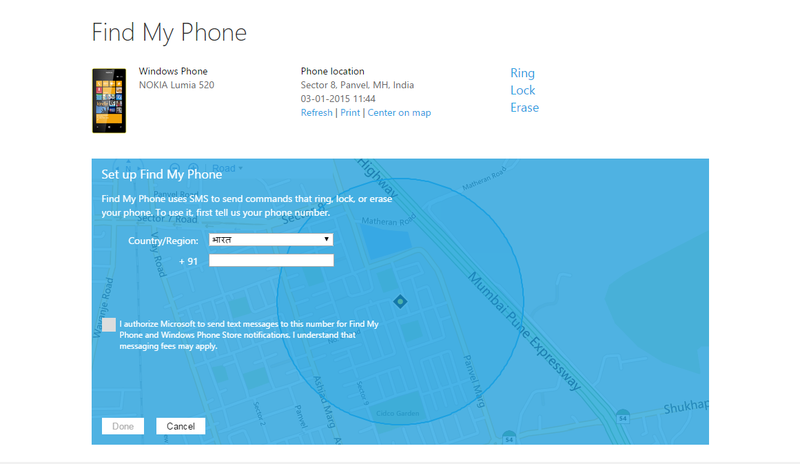 In the second option on the page is very useful which will allow Microsoft to save your Windows Phone’s location periodically to make it easier for you to find. If you want Microsoft to save the location of your smartphone periodically, tick on the option and if not, keep it disabled. 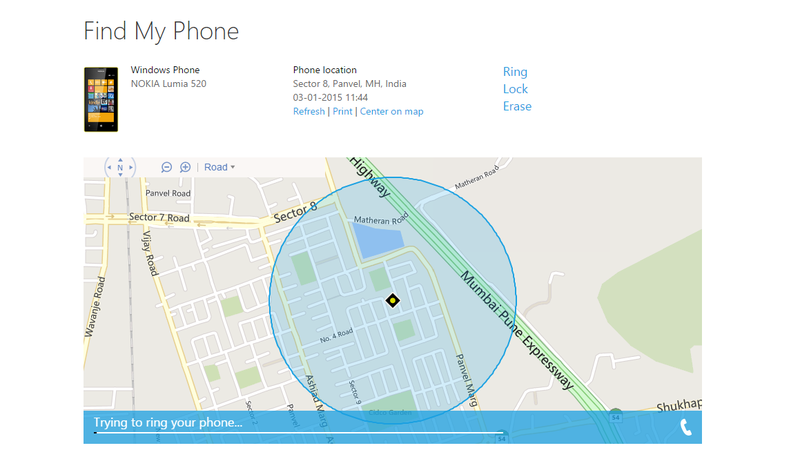 I recommend keeping the feature enabled as it will give you a good idea of where you may lose your phone or where was last seen. On your computer, open a web browser and go to windowsphone.com. On the top right of the website, you’ll see a drop down that which says “My Phone”. Hover over the dropdown and you’ll see an option to sign in. After that, sign in with your Microsoft account (the same account as on your Windows Phone). After signing in, you will be redirected to the homepage. 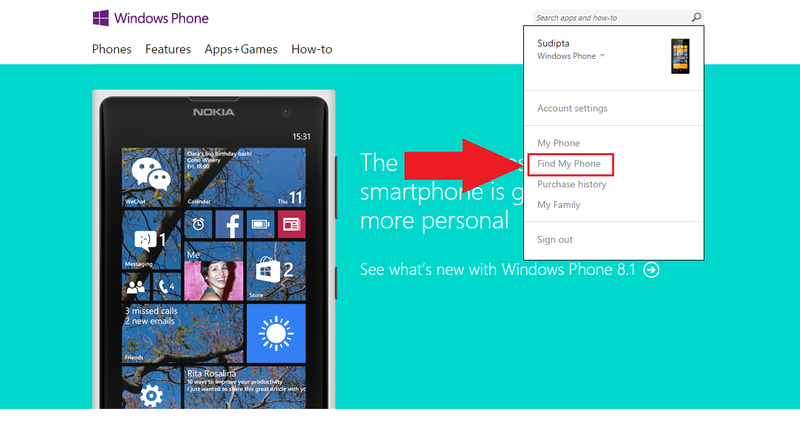 Once again, hover over the dropdown on the top right-hand side and you will see an option that states “Find my Phone” click on that. You will be presented with a section full of your smartphone info and at the bottom, there will be a map. On the first section, you’ll be able to get your phone number when you will add your number before accessible to all feature of find my phone, name, last seen location and time. On the right-hand side of that section, there are three options available: Ring, Lock and Erase. To make your phone ring, click Ring and then follow the instructions. It will ring even if the volume is off or set to vibrate. To lock your phone and show a message on the lock screen, click Lock, then follow the instructions. If you don't already have a password set up on your phone, you'll need to enter one – you'll use it to unlock the phone if you get it back. 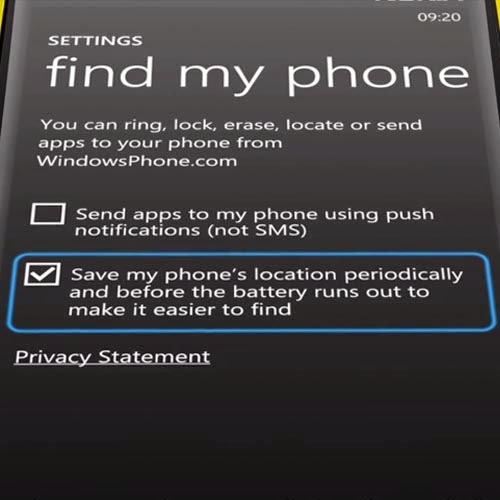 The Lock feature will let you lock your Windows Phone and display a message on the display (limited to 160 characters). There is also a feature on the lock section which lets you ring the phone as well. Once you get your phone back, you’ll be able to unlock it using your password. 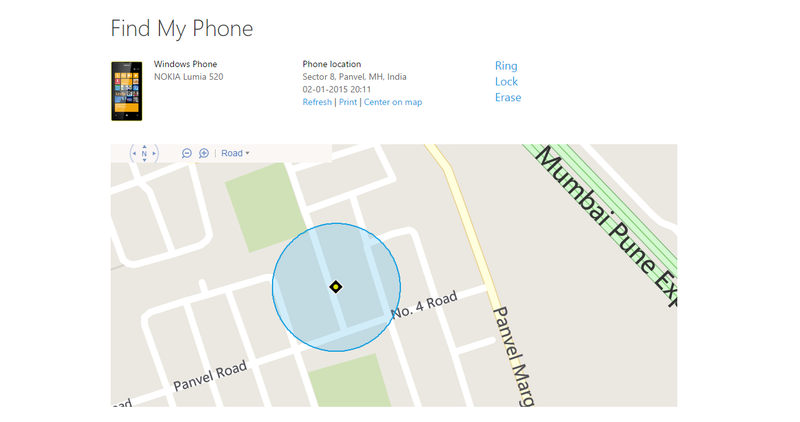 There is a map which shows the current location of your Windows Phone. The map will show the road name, there is also a bird-eye view for the app. To start erasing your phone, select I'm sure! Please erase my phone now, then click Erase. If you've changed your mind, click Cancel. Warning readers Be careful! This is your last chance to back out. You have been warned. Even if you have blocked your phone, the person will be able to restore and use it. 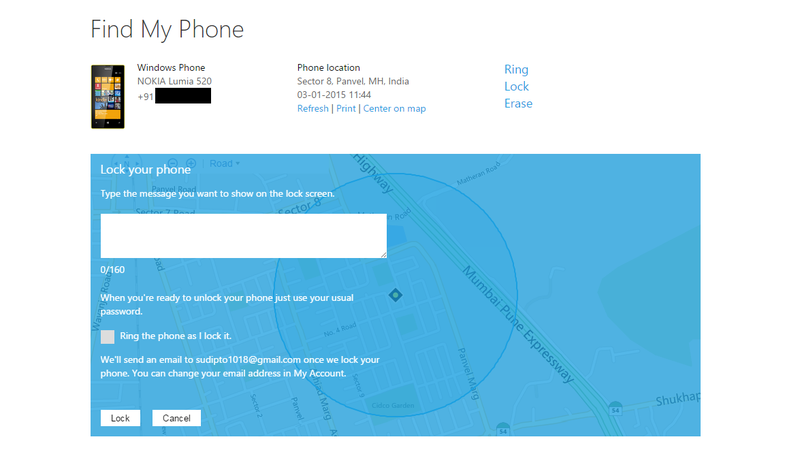 But it's a good idea to let your mobile operator know that you've lost your phone. Microsoft can save your phone's location details every few hours so that if your phone is out of range or the battery dies, we can still show your phone's last known location on a map. If you have any questions, let us know in the comment section below!